GREAT STUFF! The Bass Rock in the Firth of Forth, the home of the Solan goose or gannet, is a familiar sight to visitors to the popular resort of North Berwick. 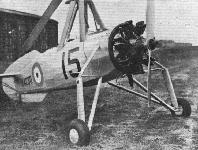 This photograph shows one of the "Harts" ("Kestrel") of No. 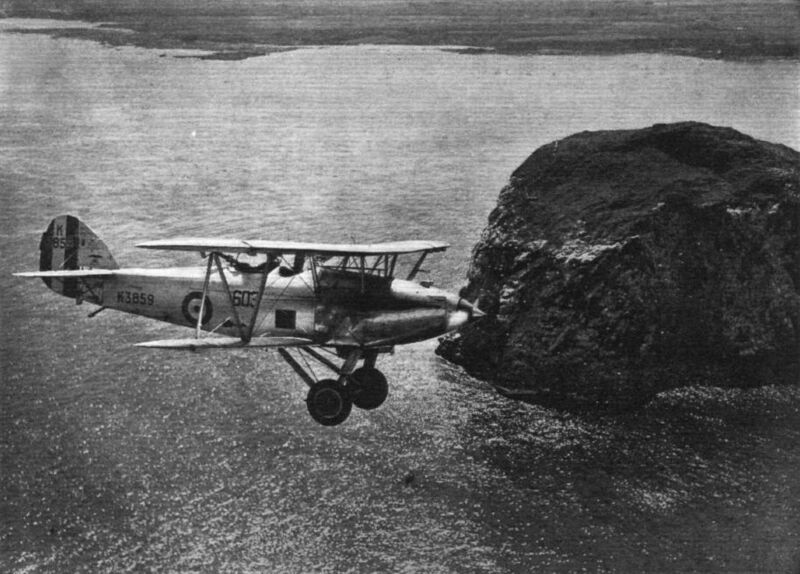 603 (City of Edinburgh) (Bomber) Squadron flying past the Bass Rock. READY FOR THE FRAY: A "Bulldog" of No. 17 (Fighter) Squadron waiting at Kenley to go up on night patrol. 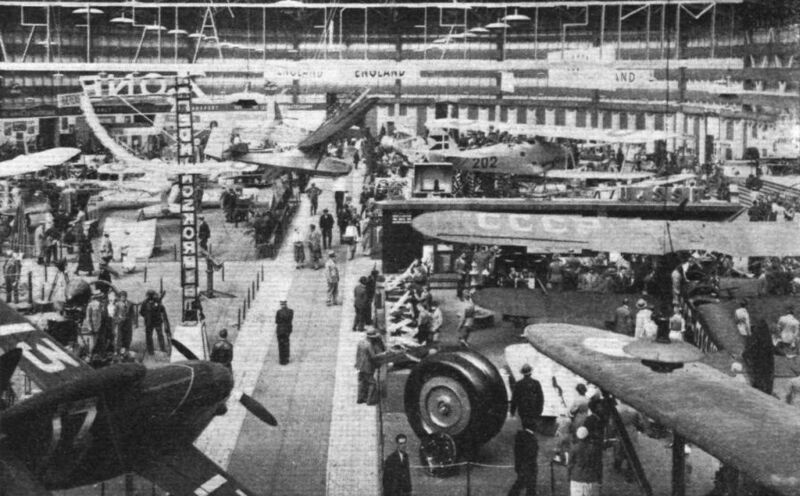 SOVIET MISSION TO PARIS: Two of the A.N.T.14 machines, which flew from Russia to Paris, at Le Bourget. 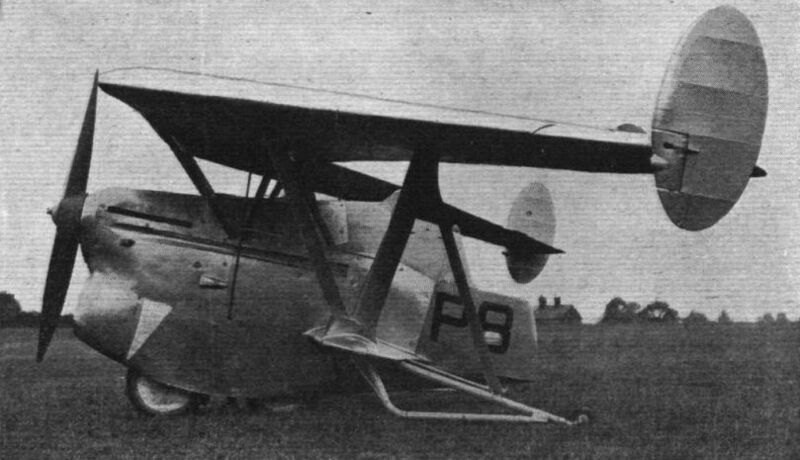 A PURSUIT TYPE: The Boeing P-26. 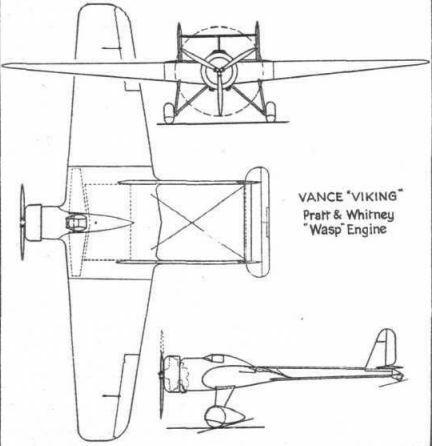 The engine is a Pratt and Whitney "Wasp" of about 600 h.p. 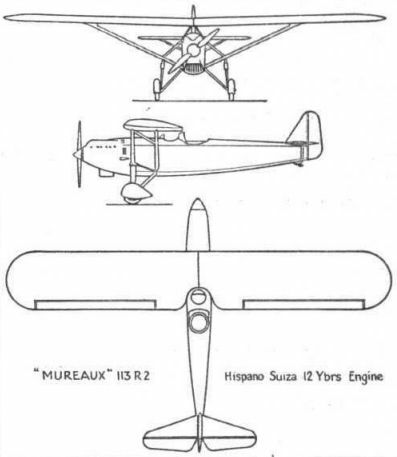 FOR RECONNAISSANCE: The Mureaux 113.R2 (Hispano-Suiza 12 Ybrs engine) high-wing monoplane. It can also be used for light bombing. 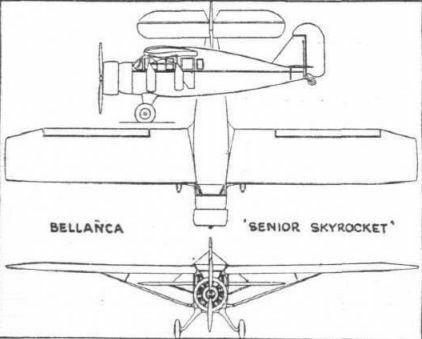 A SIX-SEATER: The Bellanca "Senior Skyrocket" cabin monoplane. 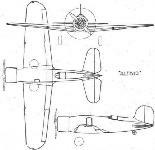 A SINGLE-SEATER FIGHTER: The Fairey "Firefly" (Rolls-Royce "Kestrel"). 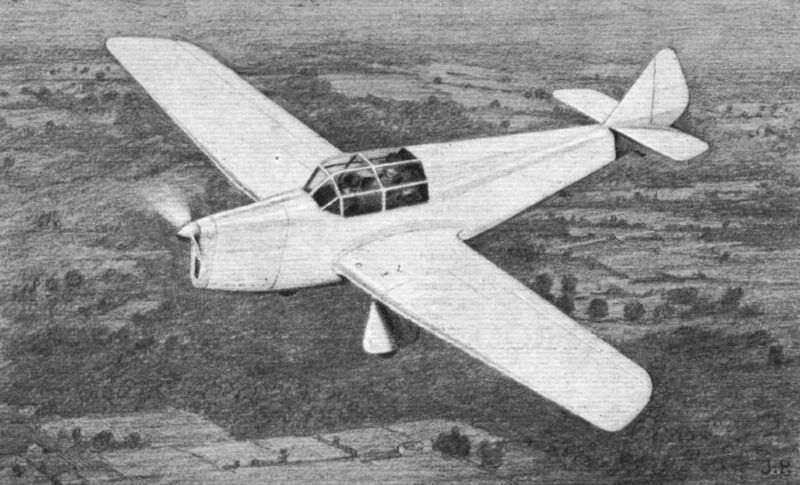 The Martin B-10. 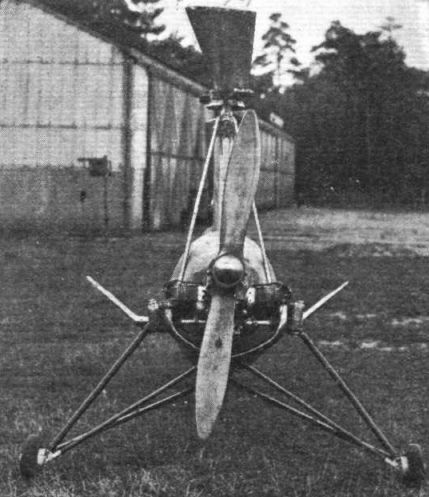 It has two Wright "Cyclones" of 650 h.p. each. "SITTING DOWN": The latest type of Autogiro (7-cyl. 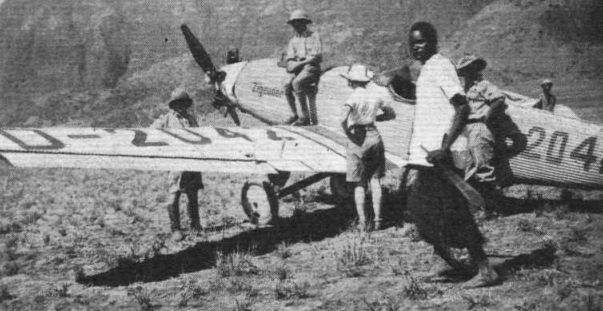 Siddeley "Genet Major") touches down with its tail wheel first when coming down steeply. 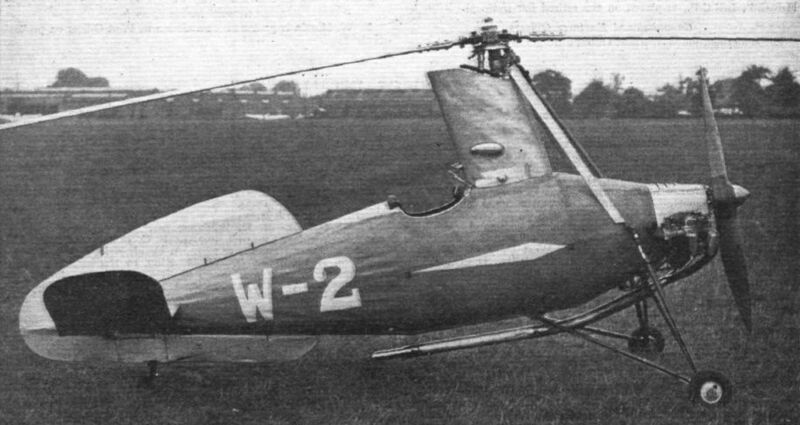 UNSTALLABLE: The Cierva "Autogiro" built by A. V. Roe & Co., Ltd., will be exhibited at Copenhagen, and another machine will be available at the aerodrome. The engine is a 7-cyl. Siddeley "Genet Major." FOR "STAFF" TRANSPORT. 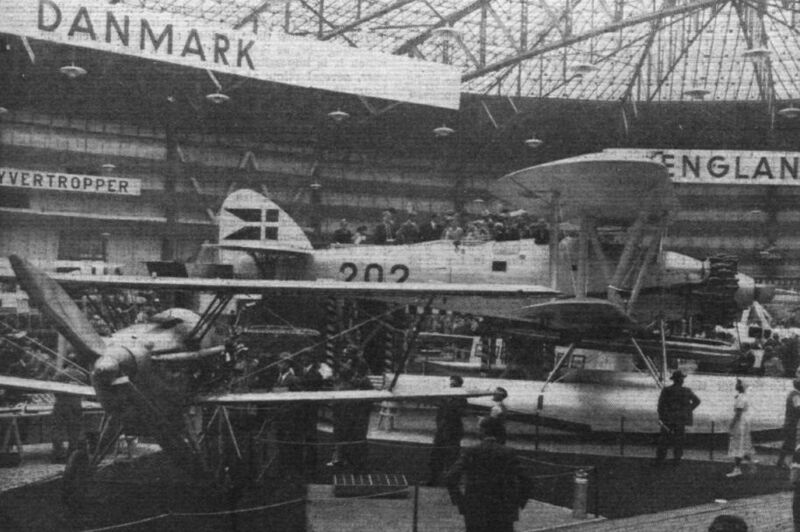 The first of the Avro C.30a Autogiros ready for delivery to the Royal Air Force for Array co-operation work. 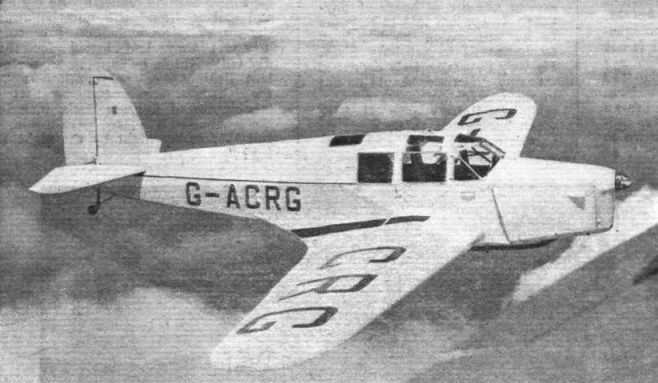 Note the upper identification mark painted on the top of the fuselage. TO TAKE LANDING SHOCKS. 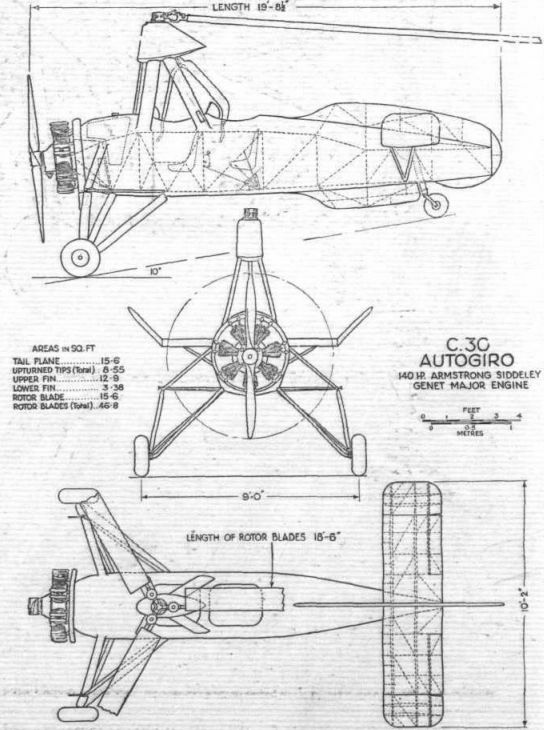 Autogiros can land vertically, hence this wide undercarriage with compression legs having a long travel to take up the shock. The engine is a 140 h.p. 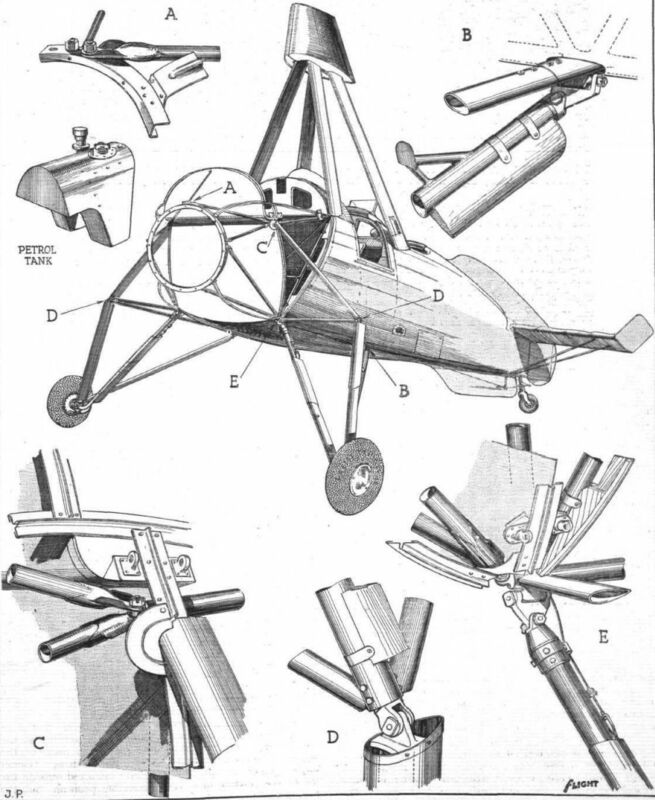 7-cyl. Siddeley "Genet Major." 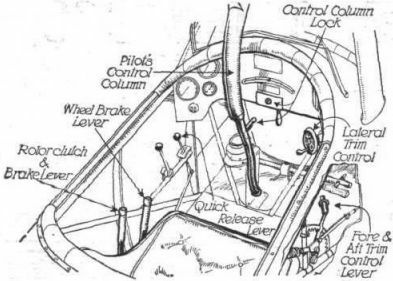 IN THE COCKPIT: The flying controls are confined to a single "hanging" stick, the foot bar being used for operating the tail wheel when the machine is taxying. FOR A SMALL HANGAR. Two of the blades may be folded on their hinges to enable the machine to be housed in a small space. 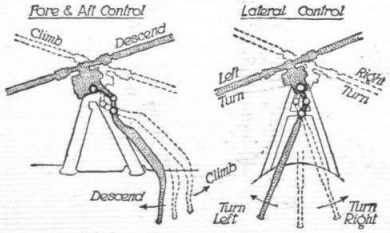 DIRECT CONTROL: The way in which the rotor head is tilted should be clear from these diagrammatic views. WELDED CONSTRUCTION. 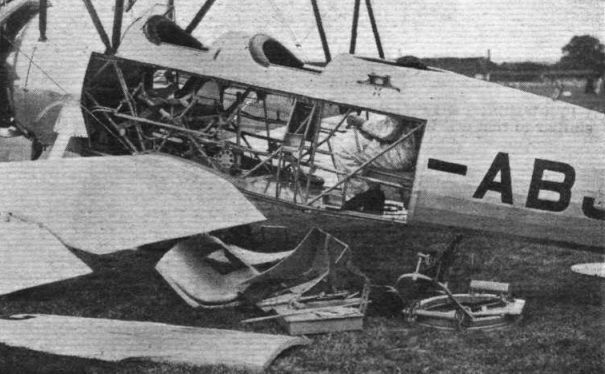 The rear of the fuselage with the tail-wheel mounting. 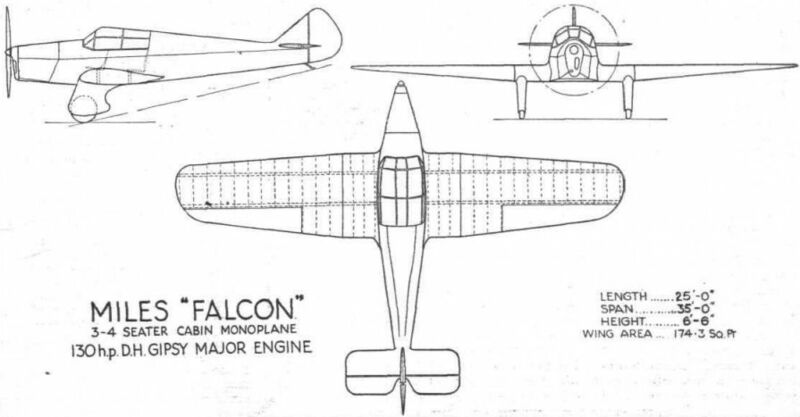 FUSELAGE DETAILS. 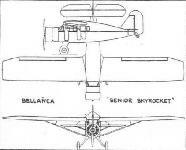 The letters show the position of the enlarged details on the fuselage. 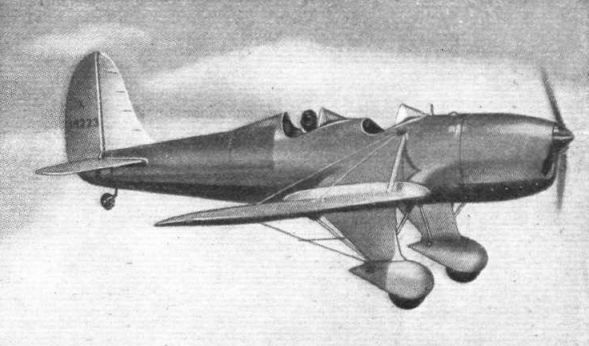 WITH "PEGASUS" ENGINE: The Anbo IV two-seater military monoplane. This photograph was taken during a recent visit to Croydon. 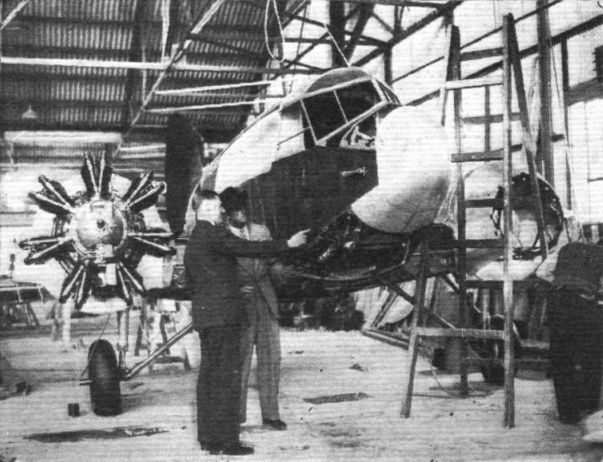 BUSINESSLIKE: Showing the installation of the Bristol "Pegasus" engine in the Anbo IV and the wide undercarriage. 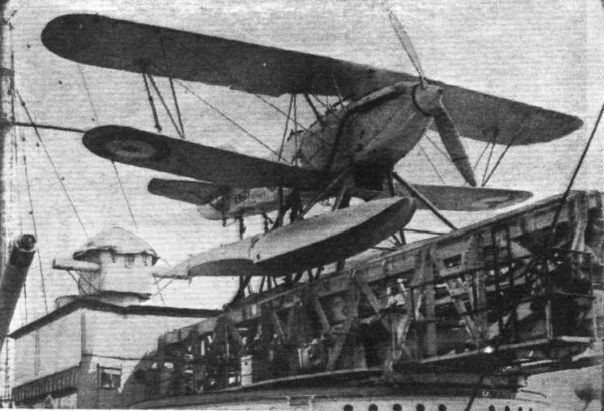 THE BLACKBURN T.S.R. : The letters stand for torpedo, spotting, reconnaissance and the engine is a Siddeley "Tiger." 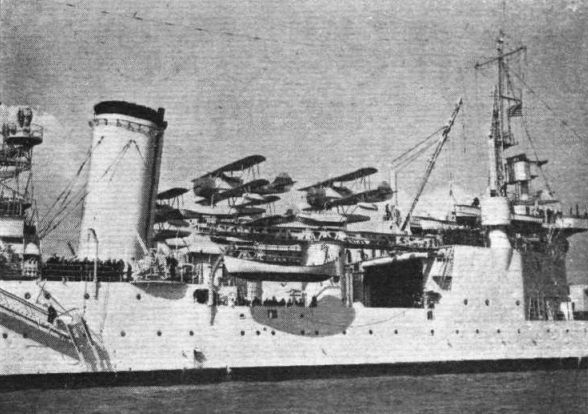 The Fairey Torpedo Spotter reconnaissance ship-plane (Bristol "Pegasus"). An order will probably be placed shortly for machines of this type to equip a squadron of the Fleet Air Arm. NOT AN ACCIDENT: The Avro 626 is variously used for training in gunnery, bombing, photography and wireless. 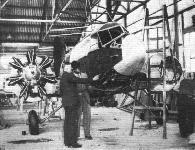 FOR THE ROYAL AIR FORCE: The Fairey night bomber (2 Rolls-Royce "Kestrels") is now in production and will be the first monoplane, apart from amphibian flying boats, to be issued to the R.A.F. The machine as here seen was being piloted by Fit. Lt. C. Staniland, Fairey's chief test pilot. 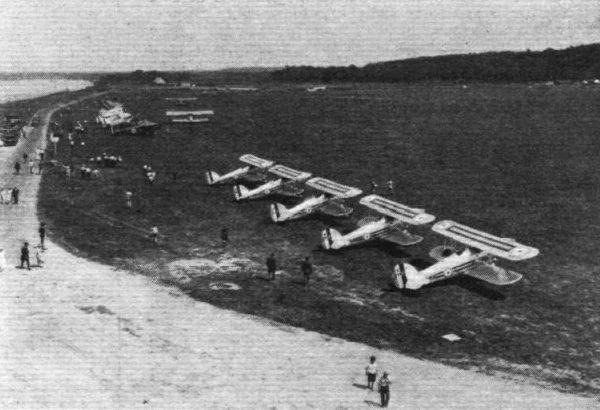 A FRENCH FEEDER LINE MACHINE: The new Potez 56 has a retractable undercarriage, and its two Potez radial engines are supercharged. Six passengers are carried. Its resemblance to the Airspeed "Envoy" is quite marked. 95 H.P. - 145 M.P.H. 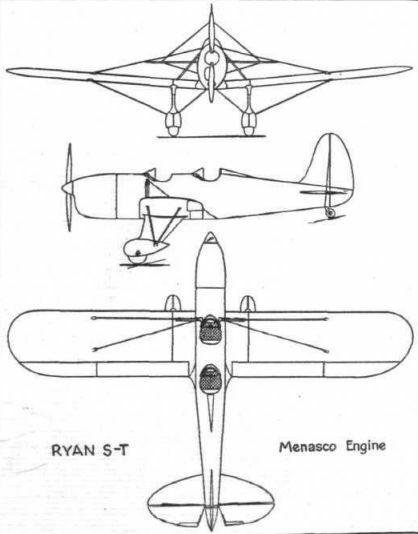 The Ryan S-T two-seater with Menasco B.4 engine of 95 h.p. 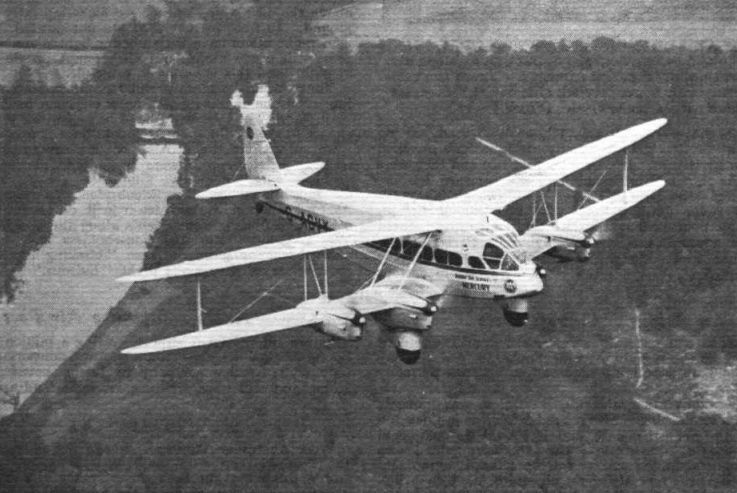 BRAZILIAN CLIPPER TAKES OFF: Pan-American Airways' first Sikorsky S-42 leaves Biscayne Bay for Buenos Ayres. It is reported that Short Bros, are building a large trans-oceanic boat for Imperial Airways. 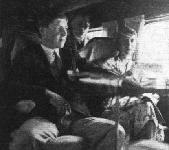 IN CANADA: The Trail of the Caribou photographed before the start of the flight with her two pilots, L. G. Reid and J. R. Ayling. COMFORT AND COMPOSURE AT 110 M.P.H. : Not the interior of a railway carriage, but of a modern air liner - Horatius, of Imperial Airways. There are two separate armchair seats on each side of the tables, on which meals are served. ABOVE THE CLOUDS: In this view the fine lines of the British Klemm "Eagle" (130 h. p. "Gipsy Major") are particularly noticeable, and some idea can be gained of the pilot's range of vision, both above and below. The "Eagle's" cruising speed, with "Gipsy Major" engine, is 130 m.p.h. The slotted and flapped "Puss Moth." "OSPREY" ON AUSTRALIAN TRIP: The Hawker "Osprey" seaplane (Rolls-Royce "Kestrel" II.M.S.) on the catapult of H.M.S. "Sussex." 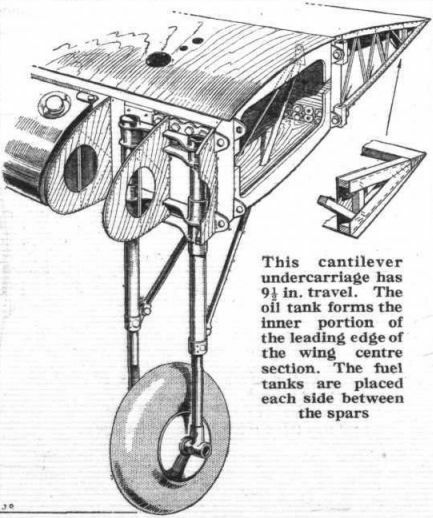 WITH WHEELS UP: The Airspeed "Envoy" (2 Wolseley A.R.9 engines) has the same type of retractable undercarriage as the "Courier." G.A. 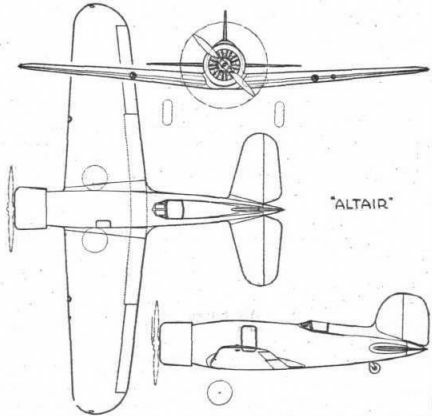 drawing of the single-seater "Altair." 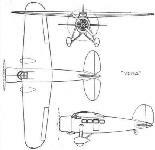 TO ASSIST SALES: The "Leopard Moth" recently acquired by Morris Motors Ltd.
A Boeing B-9, fitted with two Pratt and Whitney "Hornets" of 600 h.p. each. A NIGHT RAID: A "Virginia" making its way to its objective. 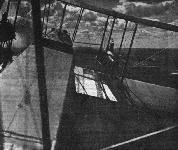 The photograph is taken from the cockpit in the tail of the bomber. 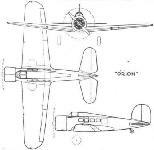 A TWO-SEATER PURSUIT TYPE: The Consolidated P-25 is being followed up by a later version, the P-30, with Curtiss "Conqueror" engine. 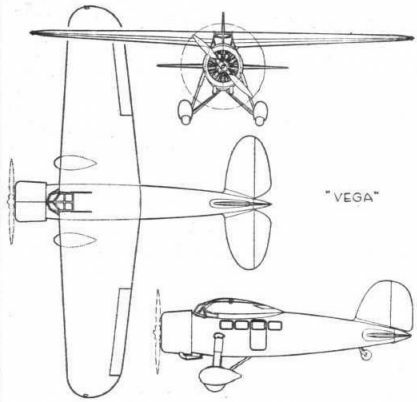 A BOMBARDMENT TYPE: The Douglas B-7 is powered by two Curtiss "Conqueror" engines of 650 h.p. each. THE DOUGLAS VERSION: Like the Fokker O-27, the Douglas O-35 is an Army Observation type. It has the same type of engines, but is strutbraced and has the "gull's wing" formation. 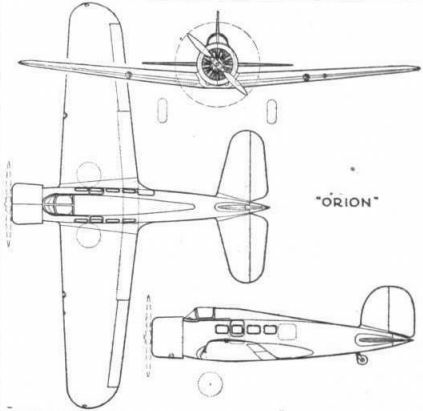 The Douglas O-31 with the Curtiss "Conqueror" engine. The Douglas O-43 with the Curtiss "Conqueror" engine. 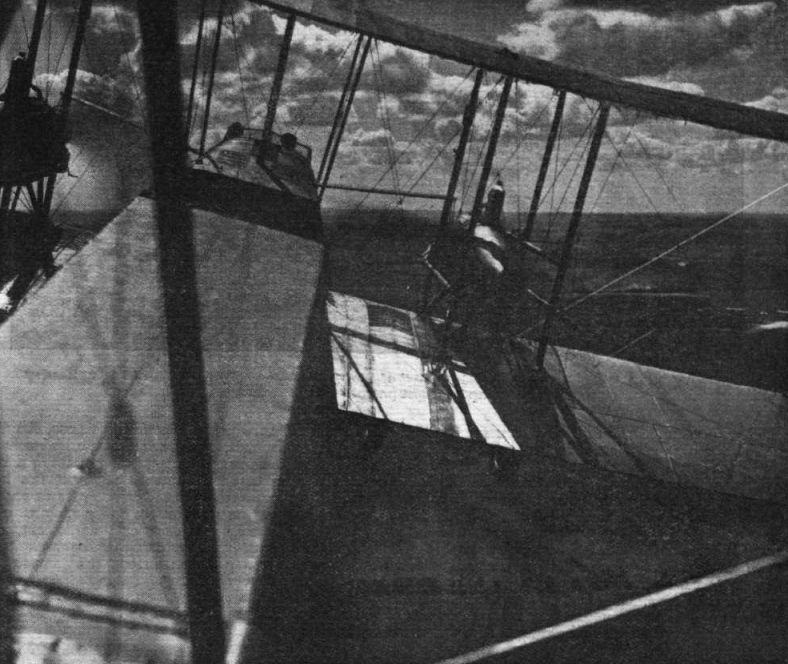 A FORCED LANDING WITH REASON: Just in case there may be some pilots who underrate the weather with which our English pilots have to contend, we publish this photograph of a Short "Scion" taken by Mr. A. Irwin just after he had decided that discretion was the better part of valour. The black clouds behind the machine are right down on the ground and completely block the way to Aberdeen, a journey which on this occasion took seven hours instead of the usual three or so. FOR ARMY OBSERVATION: The Fokker O-27 is designed for long-range reconnaissance. 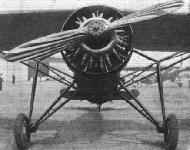 It is fitted with two Curtiss "Conqueror" engines of 650 h.p. each. 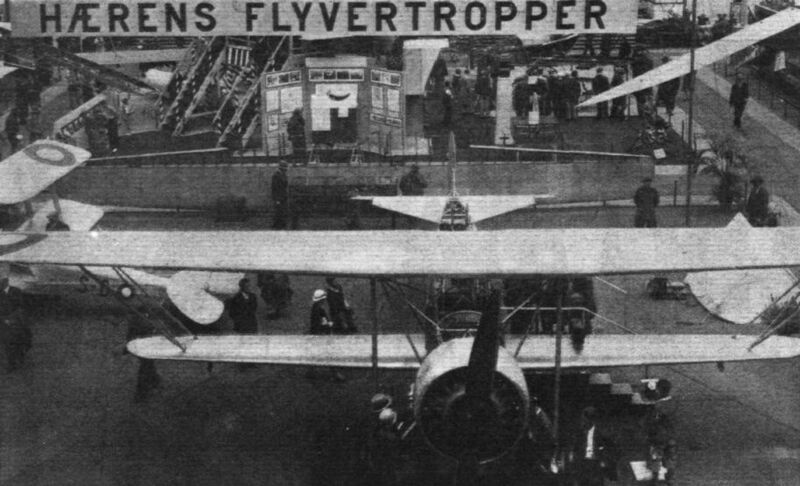 The Fokker B-8 with two Curtiss "Conquerors." 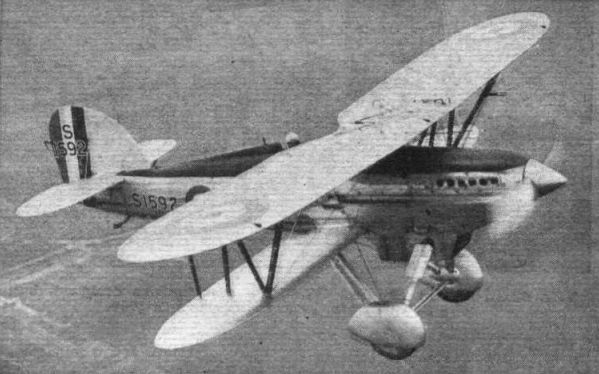 FOR JAPANESE COMMUNICATIONS: Built by the Kawasaki Dockyard Co., Ltd., of Hyogo, Kobe, the K.D.C.-5 shown here is a three-seater monoplane intended for rapid communication work. Fitted with a Kawasaki IX liquid-cooled engine of about 800 h.p., the top speed is claimed to be well over 200 m.p.h., the ceiling more than 20,000 feet and the endurance about 7 hours. THE STINSON "MODEL A": This feeder line machine, with three 240 h.p. Lycoming engines, was described in Flight of March 29 this year. Eight passengers are carried at a cruising speed of 150 m.p.h. at 5,000 ft.. and the landing gear is of course retractile. 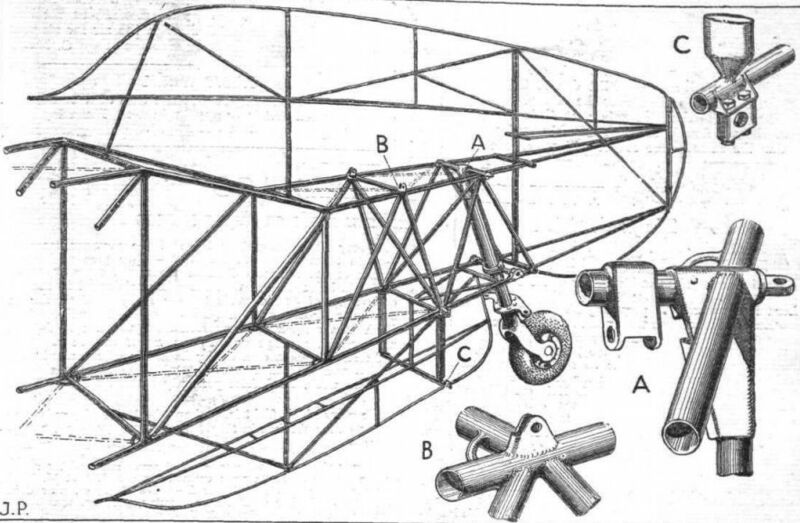 The first Blackburn Machine: This monoplane was designed, built and flown by Mr. Robert Blackburn at Saltburn in 1909. The machine is here seen on the sands. THE "RUBBERNECK" OF THE FUTURE? 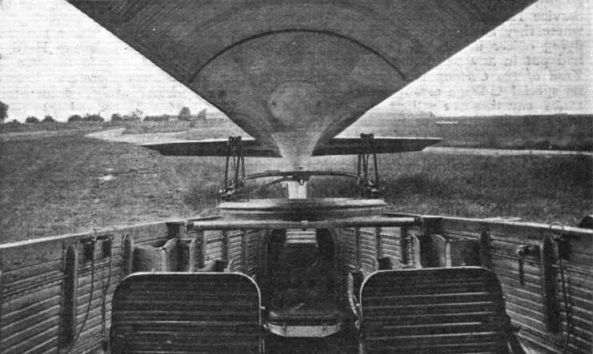 This "interior" view (looking towards the tail) of the Nieuport-Delage 590 Col. 3, General Purpose Colonial monoplane, in which the aft portion of the cabin is left open, suggests a possible use for this form of arrangement for aerial sight-seeing chars-a-banc. The all-round view thus obtained would be excellent. 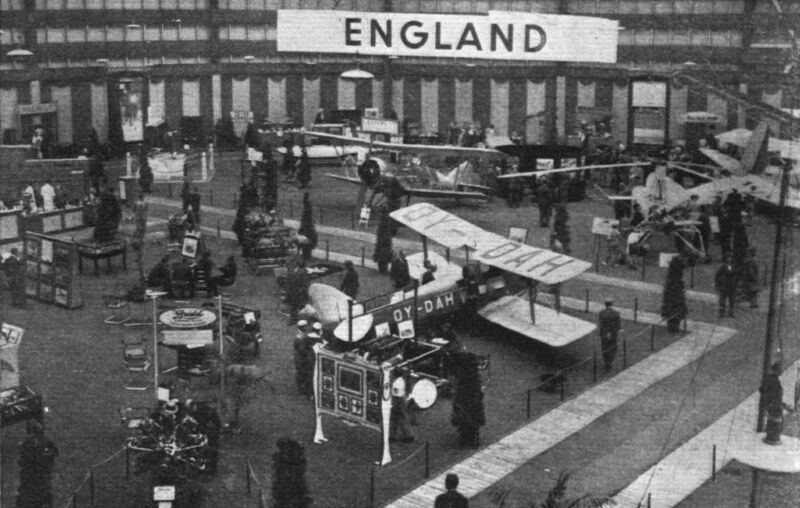 SEEING FOR THEMSELVES: Last week members of the Parliamentary Air Committee paid a visit to the Filton Works of the Bristol Aeroplane Company, flying down in the Short "Syrinx" (shown arriving). On the left, Mr. Herbert Thomas, of the Bristol Company, is welcoming members of the party. 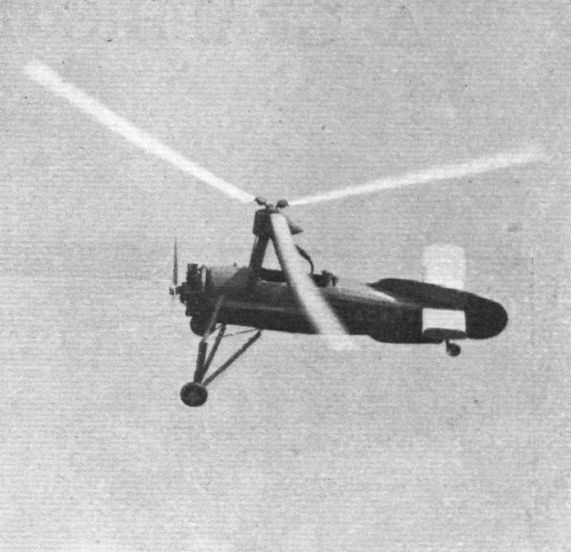 A machine in the army observation class, the Curtiss O-40B, but having a 700 h.p. Wright "Cyclone" radial air-cooled engine. The Caudron "Rafale," which, piloted by Lacombe, won the Deauville-Cannes leg of the race and finished second in the final classification. This machine won "Les Douze Heures d'Angers." 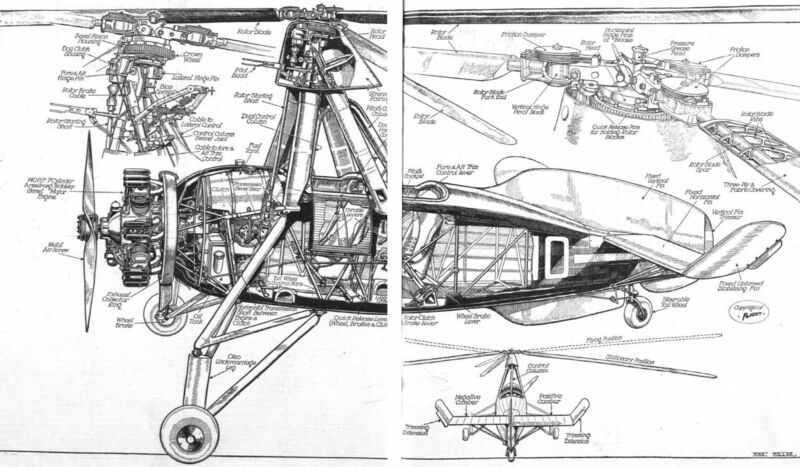 FOR AMERICAN WORLD FLIGHT: The Sikorsky seaplane which, piloted by Fit. Com. 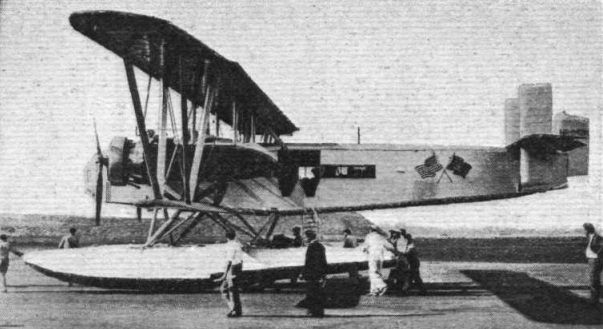 William H. Alexander and with about five others aboard, is making a "Goodwill Flight" round the world. HIGH EFFICIENCY. Mr. Warren Eaton's Bowlus du Pont sailplane. 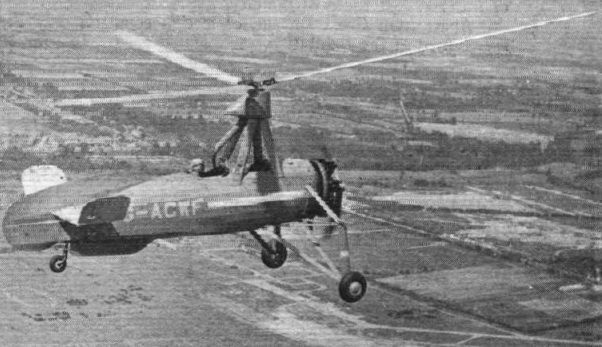 With wing flaps and a single landing wheel, this machine can be landed in very small fields at 21 m.p.h. 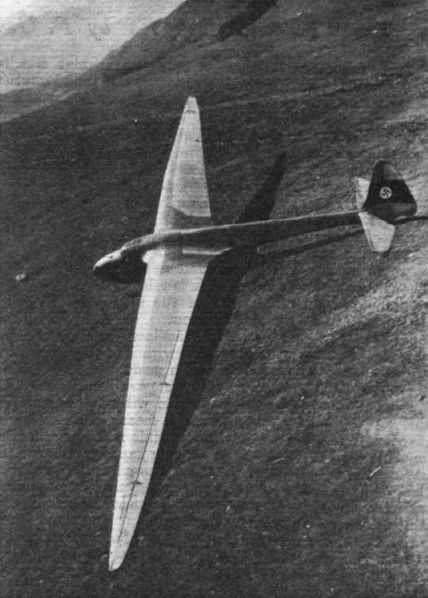 It has a span of 62 ft., an aspect ratio of 18.8 to 1, a gliding angle of 30 to 1 at 34 m.p.h. and a sinking speed of 1.6 ft./sec. 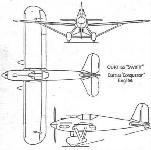 LATEST CURTISS-WRIGHT AMPHIBIAN: Designed by and built under the supervision of Capt. 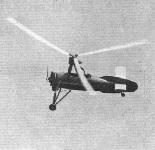 Frank Courtney, this new amphibian, constructed by the Curtiss Wright Co., has a top speed of 151 m.p.h. and cruises at 125 m.p.h. Three wheels are employed in the undercarriage, one wheel being in the nose of the hull. Thus the machine lands in the same position on land as on water. 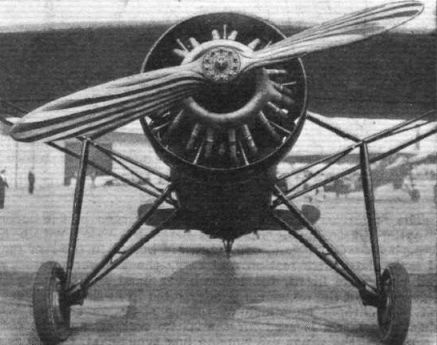 A Wright "Whirlwind" engine of 330 h.p. 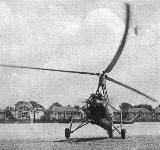 is mounted as a pusher some distance away from the propeller, which is driven by an extension shaft. Four passengers, a pilot, and 240 lb. of baggage are carried. 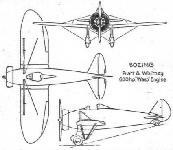 AN AUSTRALIAN PRODUCTION: The Wicko "Wizard" (Cirrus II engine) was designed by Mr. G. N. Wikner and does 120 m.p.h. Mr. Wikner is now looking for suitable opportunities in this country. 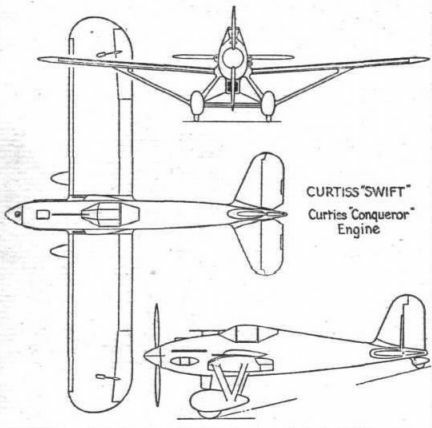 THE CURTISS "SWIFT": Note the enclosed cockpit. The engine is a "Conqueror."